Once numbering in the thousands, Japan's castles defended strategic points across the country while acting as nuclei for trading centers and transportation hubs. About 50 remain, and only a few of those have survived unscathed by centuries of war, fire and earthquakes. Let's take a closer look at three Japanese castles which epitomize the beauty, grandeur and history of Japan's feudal age of swords and samurai! 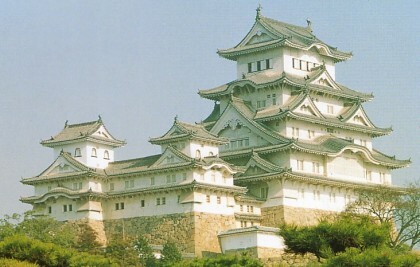 Himeji Castle in the city of Himeji is perhaps the most visited of Japan's castles. 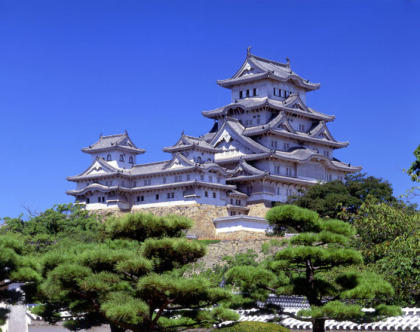 Conveniently accessible from Tokyo and Osaka via bullet train, Himeji Castle is actually a large complex of over 80 buildings dominated by the main "White Heron Castle". Himeji Castle was honored by being named a World Heritage Site by UNESCO in 1993, approximately 660 years after it's foundations were originally laid. 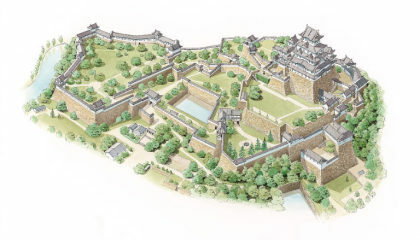 Himeji Castle displays many of the typical features of Japanese castles, including a complex layout that forced an invading army to move in a spiral direction, constantly under fire from defenders secreted in the interior. The two peaks of the castle's feature twin tiger-headed fishes called "kinshachi", whose function was to both protect the castle from fire and act as symbols of the ruling castle lord's power. 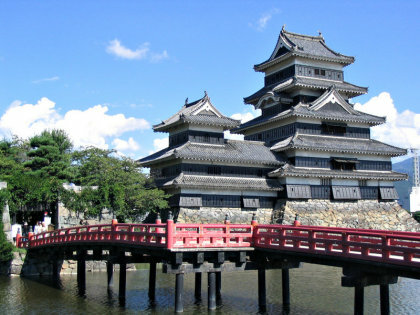 Matsumoto Castle in Nagano province is a National Treasure of Japan. Popularly known as the "Crow Castle" for its black exterior and spreading, almost winglike roof shapes, Matsumoto Castle is unusual in that it's not located on a mountain or hill. The castle is situated on an easy to protect site within a moat, however, and the design has proven its worth time and time again since its construction nearly 400 years ago. Matsumoto Castle, though reconstructed in the 1990s, is one of Japan's few large castles that remains mostly original inside and out. 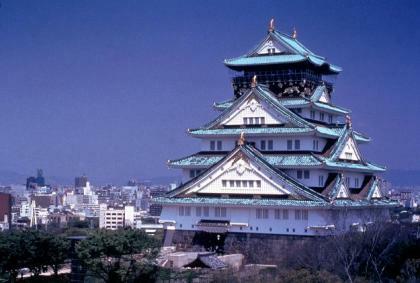 Osaka Castle was constructed in the late sixteenth century by the first unifier of Japan, Toyotomi Hideyoshi, to be the seat of his power and took 15 years to complete. Ironically, Hideyoshi died soon after the castle's completion in 1598. The castle proved to be a tough nut for the first Tokugawa Shogun to crack, finally falling to him in 1615 after a long siege. The five-story high castle was reconstructed several times since 1620 with the most recent effort being completed in 1997. Osaka Castle sits in the center of Japan's second city, rising up from a cooling green belt of mature trees and mirror-surfaced moats. The castle contains a museum and the Toyokuni Shrine dedicated to Toyotomi Hideyoshi. 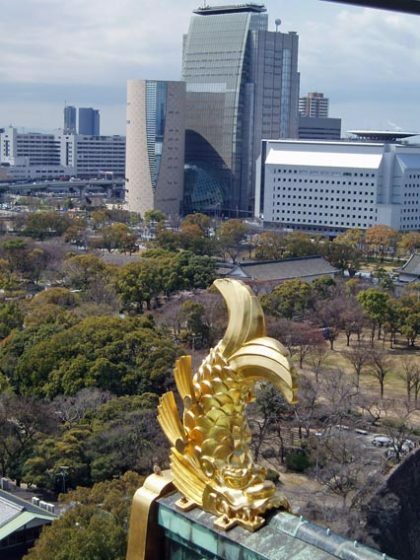 Due to its prominence in Osaka, long and colorful history, and well-designed transportation access, Osaka Castle is an extremely popular destination for Japanese and tourists alike. Japan's castles are vital links to the tumultuous "Warring States" period of Japanese history that lasted for about 150 years until the first Tokugawa Shogun brought peace to the country. For those entranced by the age of the samurai, a visit to one of Japan's castles is a definite must - just don't forget to check your swords at the door! Keep That Booty Safe and Dry!